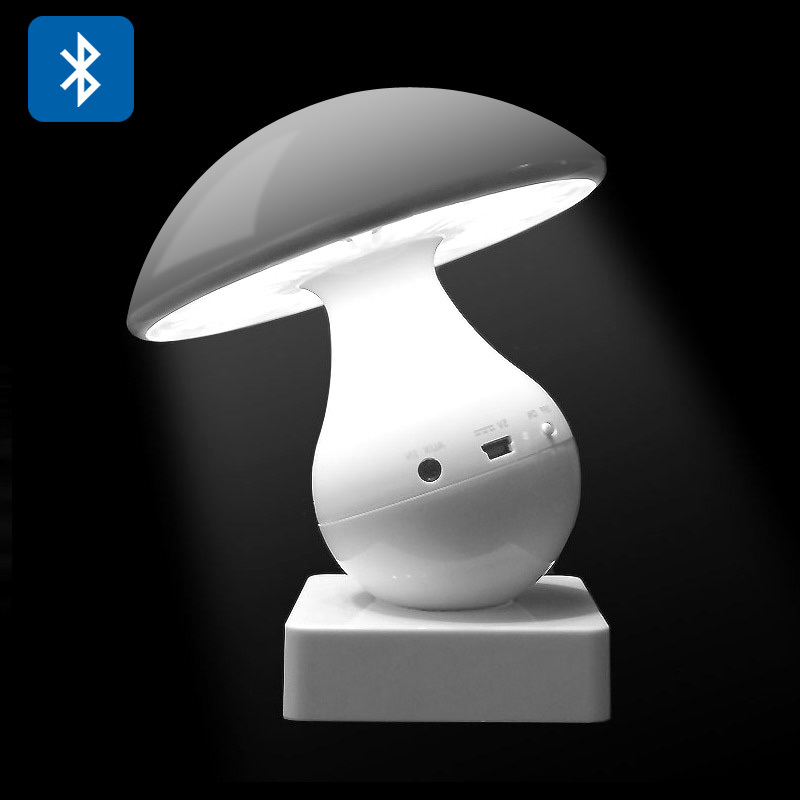 Successfully Added Mushroom Touch Lamp Speaker - Bluetooth 2.1, 600mAh Battery, 1200mcd LED Lamp, Micro SD Card Support to your Shopping Cart. Looking like a large mushroom this compact Bluetooth speaker and lamp is a great two in one combo for any room of your home. It's nice warm glow brings soft lighting to rooms and is easily operated by just touching the top of the cool looking gadget. Producing 1200 millicandela of light it makes an ideal night light for the kids or brings a touch of warm to any room with its mood lighting. A built in Bluetooth speaker is easy to sync to your phone or computer and will provide hours of music that can be streamed from a Bluetooth device or played directly via the Aux input port or a micro SD card slot thats hidden in the bottom. With an 85db signal to noise ratio and 3W output you can set background music in any room thanks to the speakers portable size and compact design. Ideal for audio books and bedtime music for the kids or that romantic evening in this touch lamp is suitable for all. This Bluetooth mushroom lamp and speaker comes with a 12 months warranty, brought to you by the leader in electronic devices as well as wholesale Bluetooth Speakers..